Mikhail Loginov is a journalist and writer based in St. Petersburg. In earlier years, Loginov travelled the length and breadth of the country following local and regional election campaigns. As a skilled crafter of political brochures, campaign leaflets and election manifestos, he was employed just about anywhere and everywhere candidates needed him. This rich experience made Loginov a real expert in Russian regional affairs — quite unusual for a metropolitan Russian. Loginov’s new novel, a political thriller entitled “Battle for the Kremlin”, is firmly grounded in this campaign experience. 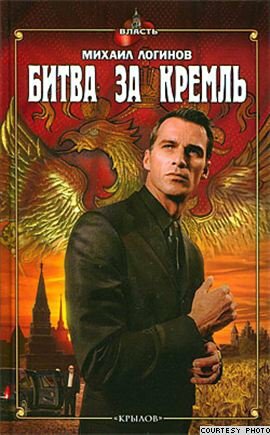 The novel’s main hero is Mikhail Stolbov, an Afghan war veteran and provincial businessman who understands the longing of ordinary people to live decent, predictable lives, unhindered by corruption, bribes, kickbacks or unjustified privileges. Stolbov makes it all the way to the top, eventually winning a presidential election. The moral that Loginov seems to advance is that independent figures who offer the public an honest agenda can succeed even in countries with a powerful and authoritarian regime such as Russia. Notwithstanding the fairytale ending, Loginov’s Russia does have some grounding in reality. Clearly, Russia is not a country in which democratic institutions are respected and law observed (just like in real life, Loginov’s spin doctors and loyal secret services agents are ready and willing to use the dirtiest possible tactics available). Just as clearly, Russia is also a country where a figure such as Alexey Navalny — lawyer, blogger, whistleblower and anti-corruption fighter — can emerge as a popular champion using Loginov’s zero-to-hero script. oDR belives Mikhail Loginov is uniquely placed to explain the phenomenon and enormous popularity of Alexey Navalny. Alexei Navalny cuts both a unique and divisive figure in Russian politics. Some, like the TV chat host Vladimir Solovyov, dislike him to the point of ranting hysterically about him live on air. Others have displayed a level of trust highly unusual in the cynical Russia of today, donating hard earned roubles in support of his RosPil anti-corruption web campaign (even when the FSB obtained and handed over personal details of his supporters to provocative pro-Kremlin youth organizations, the rate of donations actually increased). Last October, following the sacking of Moscow Mayor Yuri Luzhkov, Navalny won a resounding victory in a “virtual mayoral” election held by a leading website (direct elections were officially abolished in 2004). 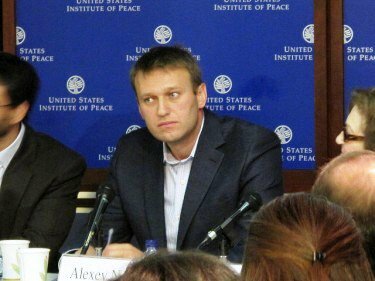 How can the Navalny phenomenon be explained? How has he managed to achieve what members of Russia's opposition — with their ten or twenty years of political experience — could only dream of? 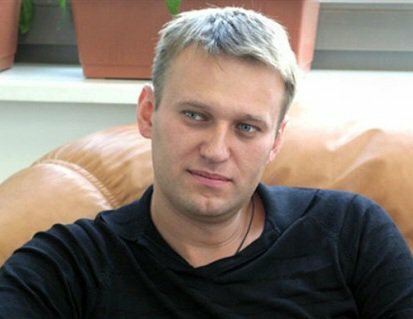 Aleksei Navalny was born in 1976 into a military family in the Moscow region. After graduating from law school, he studied securities and stock markets at the Russian Federal Government's Finance Academy, which set him up for his later work defending the right of minority stockholders. Last year he spent a semester at Yale University as part of the Yale World Fellows programme. Navalny was at one point a member of the liberal Yabloko party, joining in 2000. He left seven years later, after “bringing the party into disrepute”. The grounds for this was his reported attendance at the “Russky marsh” nationalist march. In the years that followed this blemish, Navalny founded a “Committee for the Defence of Muscovites”, which he set up to fight corruption and unlawful development in Russia's capital. He also coordinated a project “Political Debates” between opposition activists and stalwart supporters of Putin in Moscow’s Gogol club. The debates were halted when a huge fight broke out. Navalny was reported to have used a gun with rubber bullets to defend himself from hooligans who barged in intending to cause trouble. "Navalny has clearly changed the rules of Russian politics. He has determined a set of criteria without which you can't in the long run become a prominent politician or opposition leader in present-day Russia." Notwithstanding the above, Navalny's main claim to fame are his exposés of abuses in natural resource monopolies, and of shady deals behind state purchase contracts. In 2008, Navalny established a non-profit “Union of Minority Shareholders”. He himself owns shares in all the major Russian companies including Gazprom, Gazpromneft and Transneft. Acting as a rank-and-file shareholder, he has regularly demanded that the management of these companies provide him with copies of their reports, financial documents, etc. In November 2009, Navalny accused VTB Bank of buying oil drills at inflated prices, estimating the total amount defrauded at USD 156 million. A year later, Navalny published documents showing that under its previous management Transneft embezzled around USD 4 billion during construction of a pipeline to China. Navalny was accused of being in cahoots with the competition but the information he published was not refuted. This year Navalny launched RosPil, a web project aimed at fighting fraud in state contracts and the embezzling of the national budget. Volunteers supply his RosPil website with information on any tender that has clearly involved corruption. The information, obtained from freely accessible sources, is subsequently analysed by experts, and lawyers file appropriate complaints with the law enforcement agencies. The lawyers' work is financed by donations received electronically. As of May 2011 fraudulent schemes amounting to 1.6 billion roubles (£35 million) have been uncovered and corrupt tenders of up to 337 million roubles (£7.4 million) have been halted. Every visitor to the site can see which purchases the site's lawyers are currently investigating. RosPil can thus be said to be taking the fight against state corruption online. It would be wrong, however, to claim that Navalny pioneered the fight. Others have investigated state procurement too. The most notable pretender to Navalny’s crown, Ivan Begtin, claims to have uncovered around 3.2 billion roubles (£70 million) worth of corrupt contracts (subsequently halted by the Federal Anti-monopoly Agency). Begtin disapproves of Navalny's activities and regards them as “harmful to Russian society”, since “he criticizes aspects of state purchases of which he has only partial knowledge”. It is worth pointing out that society did not learn of the useful work Begtin was doing until Navalny started doing the same. On the other hand, there have been a few consistent fighters against corruption. Vladimir Milov and Boris Nemtsov, for example, published the reports “Putin: The Results: An Independent Expert Report”, “Luzhkov: Results””, and “Putin: Results --10 Years”, in all of which corruption played a key role. Yet although the reports were widely distributed in booklet form, their impact has been limited. This was partly because the allegations consisted largely of generalisations and partly because Nemtsov's own roots are in the power elites of the 1990s, a period marked by the same kind of abuses and problems (high mortality and low birth rates) as the ones featured in the reports. Begtin's anti-corruption work resembles a scholarly study of interest only to a select group of experts. Nemtsov's anti-corruption activities on the other hand resemble a political rally, and this in a country where rallies are not too popular, and people still remember crooked bureaucrats and a dying population in the 1990s when Nemtsov was Deputy Prime Minister. Navalny has chosen a third way, which with hindsight seems to have been the right one. Anyone with a university degree will find his investigations accessible. Navalny is something of a science populariser for whom the audience is just as important as the science. At the same time, he refrains from generalisations and allows his audience to draw their own conclusions. If he does present a conclusion it derives logically from the investigation. Even the most gifted populariser needs an audience. From the information we have, Navalny’s is composed mostly of office workers born between 1970 and 1985 who have regular access to the internet. As a rule, this generation regards the 1990s as a period of disappointment and deception. At the same time, they aren’t keen on the kind of government Putin embodies either. They remember the second half of the “noughties” as a period when economic growth slowed, social problems became more marked and the main achievement was the successful bid to have the Olympics held at Sochi. They continue to be immune to left-wing ideologies, and are put off by nationalist leaders and their demand of a “separate Russian way” (which to them appears like a licence to steal and entrench poverty). At the same time they are inclined towards nationalism as an idea in general. This is precisely Navalny’s appeal. He calls for Russia to follow a European path, yet describes himself as a Russian nationalist. He is not responsible for mistakes made by the authorities under Yeltsin or Putin. Unlike the communists, he does not demand a resurrection of the USSR; unlike most nationalists he does not believe in an international anti-Russian conspiracy. He is a liberal who does not subscribe to dogmatic liberal thinking which, in its most extreme form, has been dubbed demshiza (i.e. democratic schizophrenia). Navalny has done many things that are at odds with the behaviour of the liberal opposition. He shows respect for Sakharov and Soviet-era dissidents, but at the same time speaks up for the Russian army officers Arakcheev and Khudyakov, who were convicted of killing Chechens. He also promoted the rally “No More Feeding the Caucasus” [organised in Moscow in April 2011 by the nationalist Russian Civic Union]. Another thing that appeals to Navalny's audience is the way he argues his case. If someone calls him “an agent of the USA”, he returns fire with facts: so- and-so was given a flat by Luzhkov, or so-and-so has relatives installed in a state-run corporation. Furthermore, Navalny never fails to show his audience that he has the support of the majority. After calling United Russia a party of “crooks and thieves” he immediately carried out a survey on his blog. 40,000 visitors agreed that this was an accurate description of Russia's ruling party. Navalny is something of a science populariser for whom the audience is just as important as the science. At the same time, he refrains from generalisations and allows his audience to draw their own conclusions. If he does present a conclusion it derives logically from the investigation. Nevertheless, he has clearly changed the rules of Russian politics. He has determined a set of criteria without which you can't in the long run become a prominent politician or opposition leader in present-day Russia. First, you must constantly remind the public that you are “an ordinary fellow” who wants to live in Russia. A second key ingredient is to espouse a nationalism that doesn't smack of marginalisation and violence, as well as a moderate sympathy for the West that don't smack of disdain for Russia. Third, you have to know how far you can go and not attend rallies that attract more police than participants. Fourth, when arguing with an opponent, you can be brutal and crude but you must avoid hysterics. Fifth, and above all, you have to constantly demonstrate that your activity has practical outcomes – in Navalny's case, foiled corrupt deals. You must constantly prove that you're not just talking the talk but walking the walk.